The Resurrection Greek Dance program was founded in the early 1970’s by Anna Efstathiou. The Castro Valley parish was one of the founding communities of the Greek Orthodox Folk Dance and Choral Festival which is sponsored by the Metropolis of San Francisco and held annually in February. Through the years, our groups have performed at numerous Greek Festivals throughout the Bay Area where they have showcased the Greek culture through authentic music, dance, and costumes. Our dancers have also entertained at many community facilities and events such as nursing homes, senior centers, and local schools. The Dance Groups have received numerous awards for their authentic dance costumes, choral renditions, and dance performances. Currently, our thriving program consists of three groups ranging from pre-school through high school. Our Dance families are busy fundraising throughout the year to enrich the program with new costumes, music, and further research. bring people together in Orthodox Christian fellowship as a way to integrate our Orthodox Christian faith into our daily life. instill ethical and moral standards befitting the life of an Orthodox Christian. encourage a feeling of unity, family, and community in our participants. create greater communion and stronger ties with our participants, while teaching the values of teamwork and commitment that will allow them to be respectable leaders in our community. educate the participants on the Hellenic culture and traditions of different regions, by incorporating music and dances from all the regions of Greece. preserve the traditional Greek folk music and dance by teaching our participants authentic performance and dance techniques, including music with local instruments and authentic costumes. increase awareness and appreciation of the Hellenic culture and its traditions throughout the community and beyond. Dance and Choral practice is held on Thursdays from 7 – 8:30 p.m., and on Sundays after church services in the small hall. 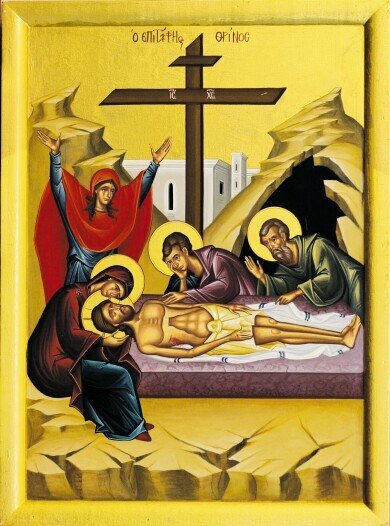 We are currently in recess until May 2019, in preparation for our Lord’s resurrection on Holy Pascha. The Dance program is open to all age appropriate Stewards of Resurrection Greek Orthodox Church.